In March 2014, after coming closer than any AFL coach has before to delivering a purple premiership to the Fremantle faithful but still falling short at the final hurdle, Ross Lyon put forward a simple and measurable goal for his team in the approaching season. “We want two goals a week more,” said Lyon – an intention that embodies as well as any other the old wisdom that some things are easier said than done. There’s no need for undue suspense: they did not achieve it. Instead the Dockers averaged the same number of points per game in 2014 as they had the previous year, and bowed out in the semi-finals. Somewhat counter-intuitively the team then went backwards in 2015, averaging eight points less per game than they had the previous years (and not notably improving their defence), yet still put enough wins on the board to claim their first minor premiership. It would not result in a second grand final berth. The Dockers were again dealt a death blow at the hands of Hawthorn, and to make matters even more miserable this time it came on home soil. Fremantle have been in freefall ever since – falling well short of finals three years in a row, and in season 2018 their average of 71 points scored per game (a full 20 points less than they achieved in 2013 and 2014) was the club’s lowest return for a season in their entire 24-year history. After never previously losing a match by 100 points or more in his first ten years as an AFL senior coach (across both St Kilda and Fremantle), Lyon has coached Fremantle to four such losses in the past two seasons. The most galling of these was a 133-point smashing at the hands of Geelong in the penultimate round of season 2018, which bizarrely came after the Dockers kicked three of the first four goals. Fremantle led 20-11 at the first change but would manage just five behinds in the remaining three quarters, conceding 23 consecutive goals to the Cats from the beginning of the second quarter onwards. The match put an exclamation point on a season that, while not without its mitigating factors, was undeniably a disappointment. An AFL survey conducted in October 2018 confirmed that Lyon’s approval rating among Fremantle fans is at an all-time low. In this survey, conducted twice a year, Lyon has gone from holding the approval of 71 per cent of the surveyed supporters in June 2017 to being backed in by just 37 per cent of the Fremantle fanbase at the end of the 2018 season. Only St Kilda coach Alan Richardson (with a 29 per cent approval rating) finds himself lower on the list. Of course, it would be inaccurate to suggest that these numbers reflect the grinding to a complete halt of any positive momentum at the Dockers. There are green shoots aplenty for those willing to look for them – in particular the gradual assembly of a young core featuring Connor Blakely, Adam Cerra, Andrew Brayshaw, Sean Darcy and Griffin Logue. However there’s no denying that come the close of last season, Fremantle were a side badly in need of some good news to delier to their fans – and they achieved exactly that in the 2018 trade period. 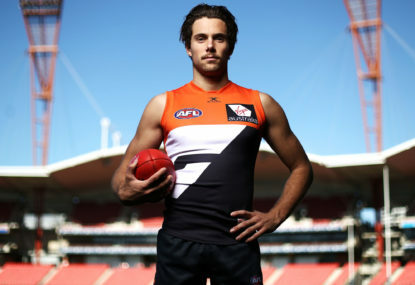 Things got off to an unpromising start when the news emerged that Lachie Neale had his heart set on a trade to the Brisbane Lions (despite being contracted until the end of 2019), but the situation improved rapidly after that as first Jesse Hogan and then Rory Lobb signaled their intentions to join the club. A makeshift list management team of football manager Peter Bell (only a handful of days into the job) and CEO Steven Rosich either played the trade period like a fiddle or nearly bungled the whole thing depending on who you ask. Perhaps a little of both is the truth. The minutiae of the machinations however have quickly become forgotten footnotes. What fans will recall instead is that when the deadline bell range, Hogan and Lobb were Fremantle players. 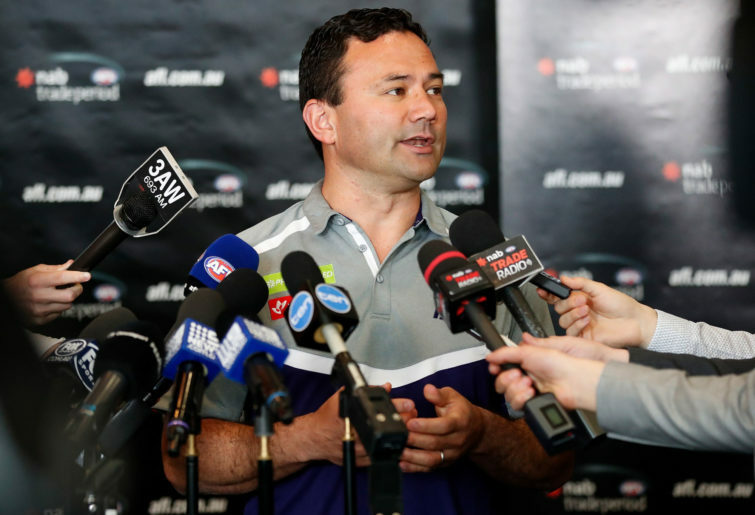 The Dockers have shown a great capacity for luring home Western Australian players over the past three offseasons so this by itself is not necessarily a major coup. Instead what made this trade period such a major milestone is that finally it seems Fremantle have found the forward-line firepower they’ve been so long searching for. With all due respect to Ross Lyon’s coaching capabilities, a two-goals per game improvement in season 2014 was always going to be an uphill battle given that Fremantle’s marquee offseason recruits for that year were Scott Gumbleton and Colin Sylvia. The Dockers have poached a number of forward prospects in the years since: Harley Bennell, Cam McCarthy, Shane Kersten and Brandon Matera. Most have been abject failures, McCarthy could perhaps be (kindly) labelled a qualified success. None however are cut from the same cloth as Hogan and Lobb. Hogan, with three season of 40+ goals and a Rising Star Award under his belt, counts himself amongst the best and most proven young key forwards in the league. Lobb’s resume is less impressive, but his 2016 season – in which he averaged 1.2 goals and 6.6 hitouts per game – shows the kind of contribution he can have when played in his preferred role. He’s a great contested mark with scope to take significant steps forward. Between them it would come as no shock at all if they were to contribute a combined eighty goals or more to Fremantle’s tally in 2019, and that’s not even factoring in the positive flow-on effect they’ll deliver to Fremantle’s other goalkickers by providing forward-line structre. Either Cam McCarthy or Matt Taberner will get the chance to play as a dangerous third tall rather than need to be ‘the man’. Dockers fans seem to have Taberner earmarked for the role, I believe McCarthy will make it his own sooner or later. Meanwhile Freo’s smaller forwards will find the crumbs much more forthcoming. 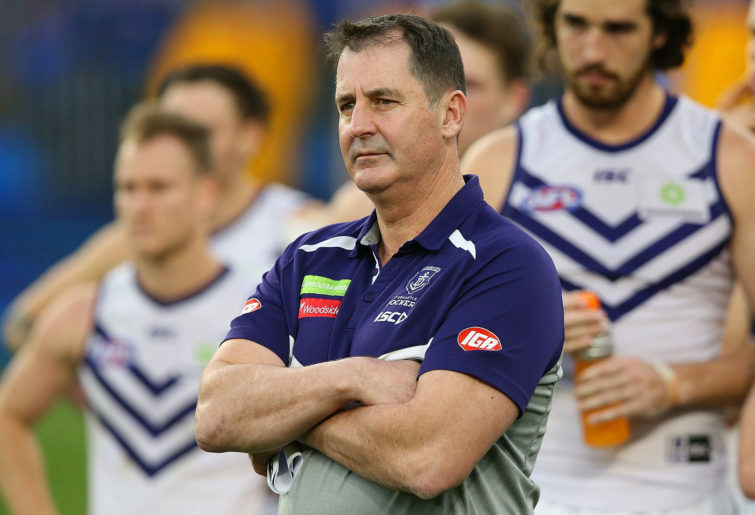 Ross Lyon finally has at his disposal the talent needed to create the more offensively powerful team he desired five years ago – the only question left is, can he? Landing quality talent like Hogan and Lobb has allowed the club to deliver the good news fans were craving, but acquiring top-tier trade talent is a move that only retains its positivity so long before performance is needed to back it up. A recent AFL survey says that Fremantle fans across the league are expecting a ninth-place finish at the absolute minimum in 2019, and if I’m being honest, I’m genuinely surprised expectations aren’t higher. Perhaps Dockers fans are a more realistic bunch than most – after all, what’s been lost so much in discussing the positives of their offseason performance is the fact that they did indeed lose a two-time best-and-fairest winner in Lachie Neale. Neale has his limitations, but Fremantle have been able to rely on him to anchor the midfield on the multiple recent occasions where injury or suspension have made their No.1 middleman Nat Fyfe unavailable. If – or more likely when – that situation arises in 2019, where will they turn? It’s also worth noting that despite the acquistions not just of Hogan and Lobb but also mature players Reece Conca and Travis Colyer, the Dockers have actually fallen down both the age and experience ladders ahead of season 2019. Fremantle will enter the year as the fourth youngest team in the AFL this year (five rungs lower than the year previous), and the seventh-least experienced (three spots lower). Read into that what you will. 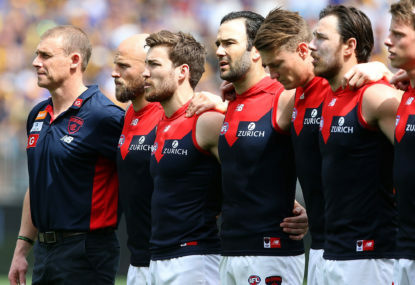 Melbourne and Essendon – both widely seen as having the potential to go deep into finals in 2019 – will both enter the season with less experienced lists on average than the Dockers. For me instead the big question is not the loss of Neale nor the step backwards in age and experience, it’s whether Ross Lyon still has the nous to make this team into what he wants it to be. Don’t take this as any disrespect for Lyon, of whom I have long been a fan. But he has been an AFL senior coach for 12 consecutive years now, longer than any other incumbent bar Hawthorn’s Alastair Clarkson. Excepting the disturbing longevity of a McDonald’s cheeseburger, there are few things in life which can go such a time without becoming at least just a little bit stale. At this early stage, I don’t expect Fremantle to play finals in season 2019 – that’s not to say I don’t believe they are capable, but merely that I’m not looking at it as a minimum expectation. After all, as I’ve said a few times already this year, it’s going to be remarkably competitive season. What I’d like to see instead is – regardless of wins and losses – those two extra goals per game that Ross spoke of five years ago. Given how far back Fremantle have stepped, it wouldn’t get them all the way to his lofty 2014 dream of a triple-figure scoring average. But, it would be the concrete step forward we need to believe Ross is still the right man for job.